Sound like a bad HVAC-themed detective novel? What is this mysterious chilled beam and what valves and accessories compliment that equipment? Chilled beams are very popular in Europe and have grown in popularity here in North America. A chilled beam is like a fancoil; hot or cold water passes through copper tubes, while air moving over the tubes is heated or cooled. The primary difference however, is how the air passes over the coil. In a passive chilled beam the hot air naturally rises to the ceiling, passing over the coil, while the cold air falls to the floor using natural convection. In an active chilled beam, an induction unit forces air over the coil while the natural convection in the room is also occurring, forcing the hot air up. 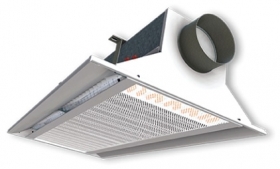 Unlike a traditional fancoil with a fan a chilled beam doesn’t require a fan. This makes the chilled beam an ideal piece of HVAC equipment for classrooms or anywhere fan background noise should be avoided. One chilled beam manufacturer says their product reduces fan energy and noise by a factor of seven. 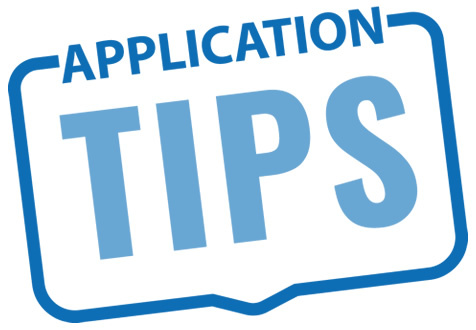 The lack of a fan also reduces system maintenance costs since moving parts are limited. Like a fancoil though, the coil’s water should be controlled so that the delta T across chilled beam is optimized and pressure changes in the system don’t cause flowrate changes in the coil. Using an Automatic Flow Limiting valve like the Isolator R, K Valve, or the Isolator Y will guarantee the flow in each chilled beam is at design flow, the chilled beams closest to the pump won’t have excess flow while those farthest from the pump won’t starve for flow. This will protect the building owner from excessive occupancy complaints about inadequate heating or cooling and guarantees there won’t be more water pumped than is required. 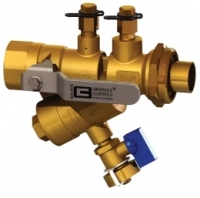 The Isolator Y also has a built in strainer so only one valve housing is required which saves space and cost.